Until the Industrial Revolution fashion would experience a change only once in a decade or even less frequently. In today’s world, fashion changes for each season or year. Leather becomes popular while crop tops lose their place in our hearts. Fashion can even change in a day when our favorite celebrity with their great style brings the boyfriend jeans back. Even in men’s wear we started seeing as many varieties of clothes as women’s. Apparel market, in order words clothing market, hosts this vibrant trend and it promises growth. When it comes to e-commerce, we see that this market will keep that promise in mind. According to a report from comScore, consumers spent $51.5 billion on apparel and accessories online in 2015. It has surpassed the most popular category which is computer hardware that includes desktop computers, PCs, monitors etc. The reason that online apparel market has experienced a greater growth is the rise of mobile commerce and easier shipping and returning policies. Since apparel includes products such as clothing, shoes, and handbags, the orders and their cost can become smaller. Shipping cost can even be more pricey it becomes important to offer free or cheaper shipments fees. Fashion industry works best in brick-and-mortar models where people can touch, feel and try out the garment and see it closely. This physical need for interacting with the products was a big problem when it comes to apparel e-commerce. Creating a similar experience to in-store experience can be one of the key approaches of apparel e-commerce market. Unlike the in-store, online shoppers can tell if the product garments are of good quality and the sizing can be a big problem. Since not many people have the same body shape or size with the basic models of clothing it can be a problem. Different approaches to online shopping problems of apparel e-commerce can be found online. A basic method is to include clothing sizes and fit in the description of the products. The customers could select the products according to their size. Another way is to have an easier return policy. Apparel e-commerce companies provide free shipping and return policies if the customer has problems with the product they ordered. While digitalizing the apparel shopping the e-commerce companies have left out one thing, the customer experience. Many e-commerce articles mention that it is important to display your product in the real-life version. Customers need to see your products under a good light or see it move to understand the product’s quality. A good way to achieve that is to improve your product imagery. Your product should be photographed from different angles and in a good light. Providing a catwalk video for your clothes can be another good way to show your customers how the garment moves and how fashionable it can look on a person. Customers need to try out their choice of clothing to see if it goes with their complexion as well. Many people cannot know if a shirt would look good on them until they try it on. An interesting approach to solve this problem was presented by virtual fitting rooms. 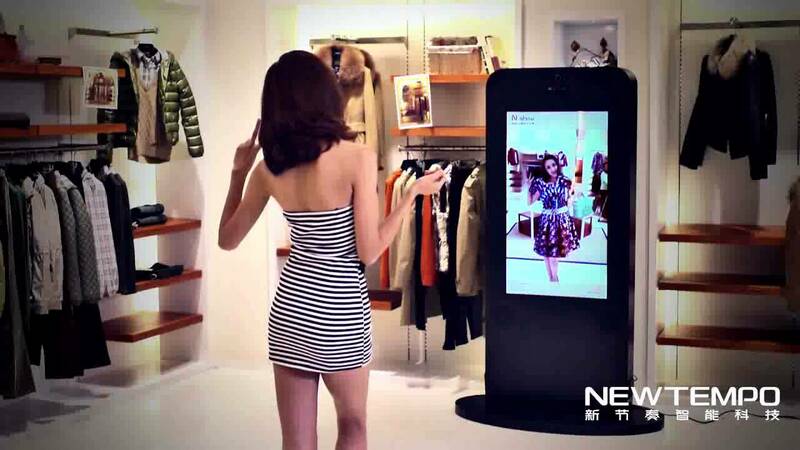 Here is an example for one type of virtual fitting room. People can learn about the way the garment moves or how it looks on them according to their size or even stretch the fabric to see if it is loose. There are many other types as well. Including the customers is a key approach that apparel e-commerce businesses need to take into account. A way to include your customers and learn about their complaints and opinions is to let them provide review. Another idea is to include customer ratings about the product as well. You can also integrate social media marketing which is very fruitful to create conversions. You can include people who are wearing the product with their Instagram posts on the product description page as well. This way, customers can also see how the clothes look on regular people other than models who don’t necessarily represent every person. Social media and viral media play a big role in fashion trends and this way you can be a part of it. Apparel e-commerce websites require user-friendly adjustments to be made. The customer should be able to use the website easily. Many apparel website templates include different features to handle these needs. Most templates include custom campaign models, user-friendly screen experience, up-selling or cross-selling features, product image zoom and views or even wish lists. Checking out those templates can also give you a sense of what are the basic methods these days. Customers’ check out process is an important point in these templates as well. Reducing the time spent on check-out and clicks customers have to go through will be valuable for your conversion rates. Up-selling or cross-selling can be a good way to introduce different products to your customers. If your customer is buying a dress why not offer them a necklace that would complete their look? If they are buying a track suit why not offer them a nice pair of running shoes? Apparel e-commerce market is a growing market thanks to the rise of mobile commerce, virtual fitting rooms, fast shipping and easier return policies. Recreating the customer experience becomes very important in this sector and there are many more ways to do it. These were the basics. Keep tuning in to us for more exciting tips on the e-commerce sector. Apparel e-commerce market is growing thanks to its improved conditions on customer experience. Another thing that triggers growth is good prices. Prisync, with its competitive price tracking system, can help you have the best prices in the market.